"One of the best things I’ve done to help me in this area is joining a variety of women entrepreneur groups"
Women make up around one third of business owners in Australia. There’s been a shift in the amount of Australian women who are reaching toward entrepreneurship, seeing a 46% increase in female business owners in the last 20 years. The current number of female owned business is at 504,838, which is around 33% of business in the Australian market. 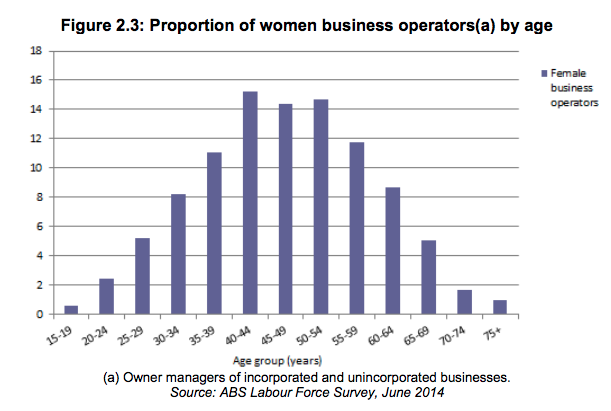 We also see that the majority of female business owner-operators are in their 40’s and 50’s. A key issue that is keeping many women out of entrepreneurial ventures is that they struggle the most when it comes to securing investment funding. We see that there may be a link between the shortage of female led companies and their ability to access funding — which is extremely disproportionate to that of male led organisations. Women lack considerable access to other female mentors. This makes sense, right? With only 7% of women in top venture firms, women are not given the same investment value as men. The lack of female representation in leading venture firms has debilitating effects on female entrepreneurship. Female entrepreneurs say that they have to consistently resort to 'hustle' in order to get through the many obstacles in their way. This is because there is a lack of identifiable female mentors and leaders in investments firms. It doesn’t help when research shows that a typical investment firm will invest in their “own tribe” before taking chances on upcoming new ventures. Alison Gutterman, CEO of Jelmar, states that she’s had to go find support groups and networks of growth-minded entrepreneurial women in order to keep her spirits high in a male dominated space. 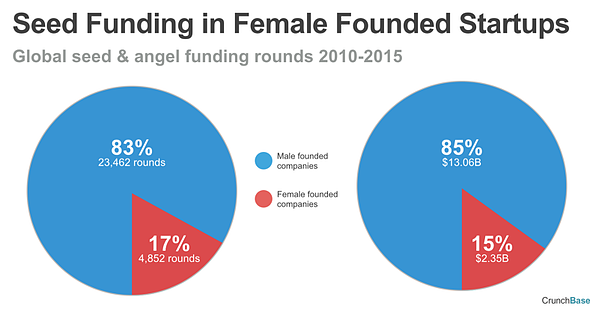 Tech Crunch also found that startups with female founders received as little as 10% of global venture funding and 17% of seed and angel funding. The question that comes to mind is: how can we invest in female led ventures when we don’t have women in investment firms to start with? In total, Tech Crunch discovered that women hold just under 12% of partner specific roles in investment firms. The study also found that female founders were actually hiring more women when they led their organisation. Take action and forget that you’re a woman; you’re a person who brings great value regardless of your gender. Seek out older and more experienced female entrepreneurs through your social networks.